Brazil hit the pitches at Tottenham’s new training ground on Monday as the sun shone down on them in north London. The squad will use the brand new facilities, named the Lodge, as their pre-World Cup training base until June 6, when they will fly over to Russia. 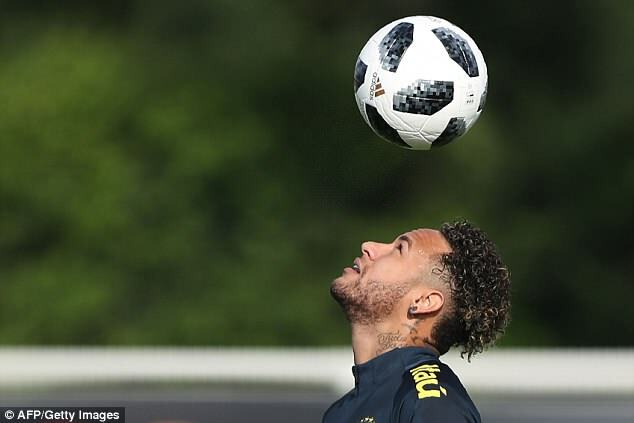 Neymar took part in a full-training session with the star-studded squad as Brazil’s World Cup preparations officially got underway. 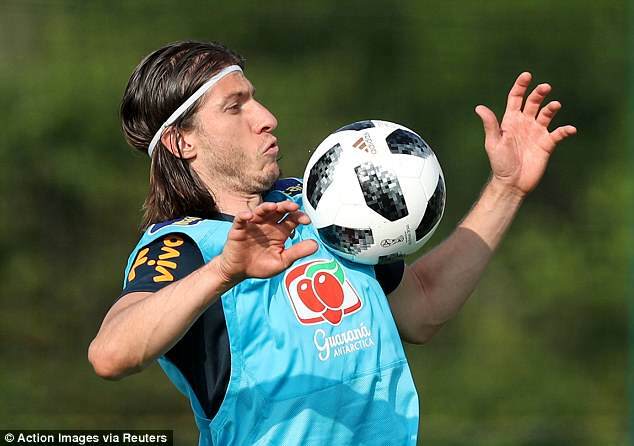 The players completed some light ball work and fitness drills in the London heat ahead of the first of two friendlies. They will face Croatia this Sunday before playing Austria the following week before the global showpiece begins. 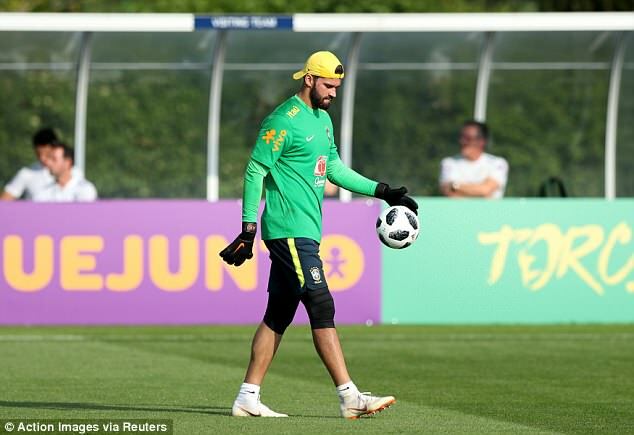 Manchester City’s Gabriel Jesus was involved in the session along with former Chelsea player Felipe Luis and Liverpool goalkeeper target, Alisson. Brazil’s World Cup gets underway against Switzerland on June 17 before games against Costa Rica and Serbia, who make up the rest of their group. Neymar has not played a competitive match since a foot injury ended his season prematurely back in February. ‘Physically I am well, my foot is fine. I am adapting in a few things. 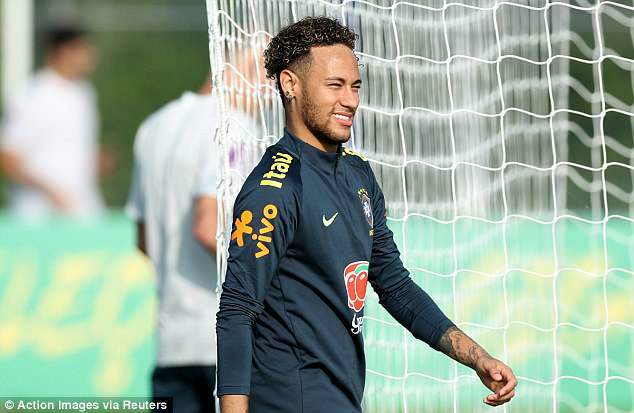 I still feel some discomfort, but it is not something that will trouble me,’ Neymar said on Sunday.